a chance to challenge themselves - to put into practice the principles that will lead them to a successful future. "Our daughter caught back up in school, started to enjoy reading and we could see a new-found confidence that wasn't there before"
Students learn as a team, learning not to give up when things are most challenging, learning to make sacrifices for a group goal, and learning that they have valuable skills to contribute. Experiential learning takes many forms, whether in experiential learning for hands-on academic experiences or in our many types of experiential therapy groups. Music therapy helps students learn to express their feelings in a way that can build self-esteem and confidence. 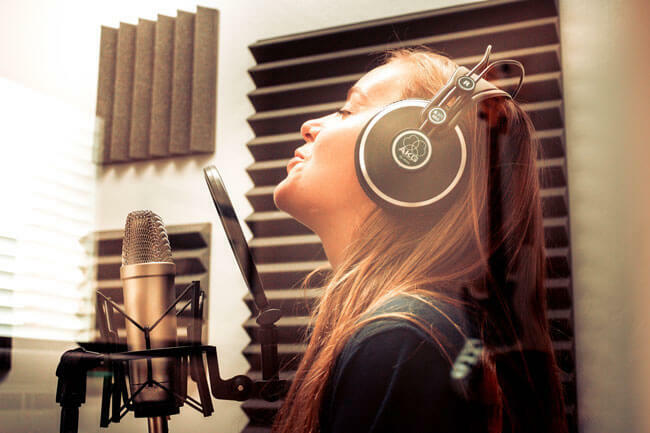 Our high-fidelity recording studio has all the tools students need to make and professionally record their music, letting students feel the excitement of creating something of real value. Drama therapy allows students to take new roles so that they can broaden their experience and empathize with emotions, people, and situations that are different from their own. Drama therapy groups are held through the year, and twice yearly parent’s seminar performances are held where parents and teachers are invited to see the work the students have put in. Art therapy gives students new ways of self-expression as well. Students are asked to explore their experiences and emotions and put those onto a page. Many students find that through art they can give their emotions a voice that otherwise would stay silent. Art students work together in teams to create the mural backdrop and set the stage for the parent’s seminar performance.